Picture yourself a decade ago. The iPhone and Android platforms haven't been invented yet, clamshell phones are still popular and one of the main contenders in the smartphones wars is Windows Mobile. So perhaps you can understand why HTC decided to try to squeeze Windows into a standard flip-phone design. The HTC STRTrk had a clumsy name, it was originally called the Star Trek before the presumed involvement of lawyers. 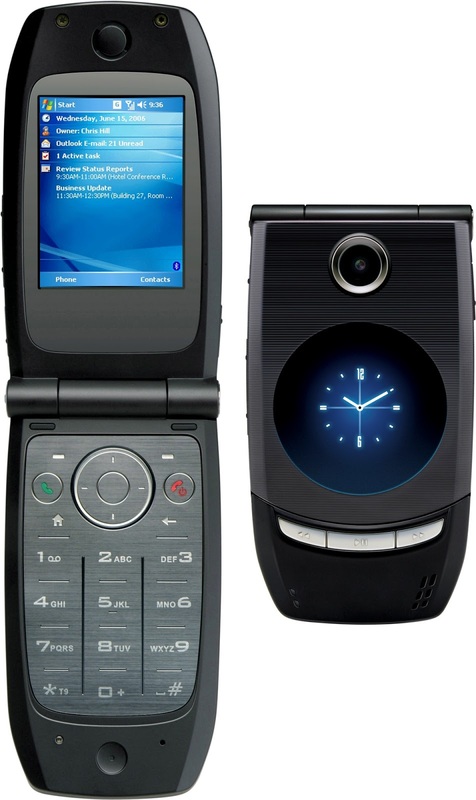 At this point HTC didn't sell handsets under their own name and the most common moniker for this was the Qtek 8500. You were expected to muddle through Windows on the tiny 2.2" QVGA display, using only the navigation keys and it wasn't touch-capable. The STRTrk was a strictly GSM-only affair with no 3G or WiFi, internally it had a 200 MHz CPU with 64MB of RAM, 64MB of storage plus a microSD slot. On the outside was a 1.3 megapixel camera, and the whole thing weighed just 99 grams. It was woefully under-specified for a smartphone, and too fiddly to use as a feature phone. Perhaps it isn't surprising that it didn't really sell way, and consequently is it extremely rare today with estimated prices for used models being around €35 or so.